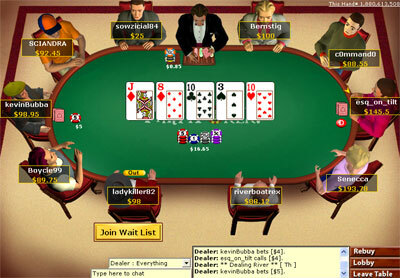 Not only was Party Poker one of the first rooms online, it still remains as the most popular poker room in the world. While it doesn't have the best looking tables in town, it has plenty of other redeeming qualities; tens of thousands of active real money players at all times, massive poker tournaments and quick payouts to customers. One of the best things about the massive player base, is that no matter what game or limits you're looking to play you rarely have to wait for a table, as there are plenty of other players eager to play all types of games and limits, both in regular cash games and tournaments of all sizes. While the visual presentation isn't stellar it is more than adequate for the job, and makes for a fairly quick, resource-friendly software client. Game lobbies offer good table details and great sorting features in their latest release, and with the exception of the no-so-popular 5 Card Stud, it offers all the rest of the popular poker games with a great range of limits available. Players experiencing problems with credit card deposits at other venues may want to check out Party Poker as well, they have a huge assortment of depositing and withdrawal options; and there is likely a banking solution suitable for your needs here. 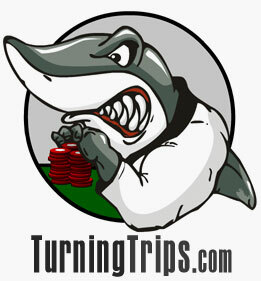 20% first deposit bonus for new players (up to $100 in free chips).